Description: A private International Primary School, licensed and accredited to offer the Australian Curriculum. Off-site access to sport/playing fields, swimming pool, tennis courts, squash court, golf course, basketball, volleyball and netball courts. Have a look in our classrooms. The school caters for Early Learning, Foundation to Year 8 students. The school consist of two separate buildings, library, tuck shop, a balcony where students have lunch, 10 classrooms and computer room, gardens and playgrounds. Nationalities represented by our pupils Papua New Guinea, India, New Zealand, The Netherlands, Australia, Malaysia, Philippines, Germany, Sri Lanka, Fiji, England and Ireland. Qualified Teachers: Our 7 teachers’ qualifications range from a Diploma to Masters. Curriculum: AIS-PNG offers the Australian Curriculum. Licensing and Memberships: We are registered to operate as a primary education provider in PNG and we are recognized by the Provincial Education Board in the Eastern Highlands Province. 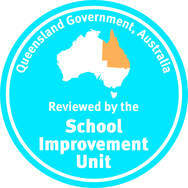 The Australian International School PNG is a member school of Education Queensland International.